I loved the Movie “Field of Dreams” and have read the “Catcher in the Rye” as well so I’ve been a baseball fan for a long time. 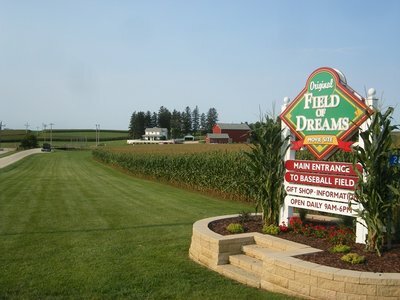 I am happy to see this old 190+ acre farm in Dyersville, IA has been purchased and the “Field of Dreams” ballpark and movie set will be saved. The Des Moines Register just ran a story about a Chicago couple that has purchased this old baseball diamond, and the 190 acre farm along with the old movie set.